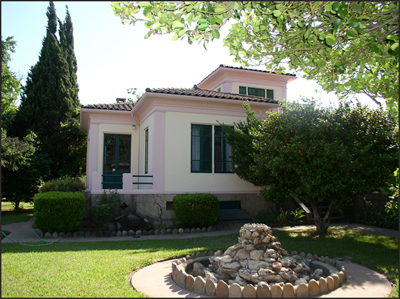 At the Murer House and Learning Center located at 1125 Joe Murer Court in the City of Folsom, California, we offer Italian language, culture and food classes and special events in a beautiful and historic setting. Classes are held in the Murer House Learning Center, an 1890s house on the grounds of the historic Giusppe Murer house. We also have an annual event to celebrate Folsom’s Italian Sister City, Crespano del Grappa (Giuseppe’s home town). Come enjoy a little bit of Italy in historic Folsom! The non-profit Murer House Foundation offers these events to raise funds to preserve and maintain the historic house and structures owned by the City of Folsom. The historic house is open for tours by the public, and work is underway to open the grounds for intimate outdoor events, such as garden classes and musical presentations. To protect and preserve the Murer House, to educate and promote the community’s understanding of the site, its history and natural resources, and Folsom’s Italian Heritage; and develop the sister city relationship between the citizens of Folsom and Crespano del Grappa. To achieve our mission statement by focusing on programming, membership, site curation, fund raising. Preservation and maintenance are a key part of our purpose. In the past year, the Foundation has provided funding through donations and fund raising to paint the historic house and perform maintenance activities for the site’s classroom building. Questions about The Murer Foundation? The Murer House is now open for tours the first Saturday of every month. Hours will be 10 am to 2 pm, or by appointment. Note: During winter, inclement weather will result in tours ending at noon. During summer, if daytime highs are forecast to be above 100 degrees, tours will end at noon. Call 916-985-3250 for more information or to book a private group tour.